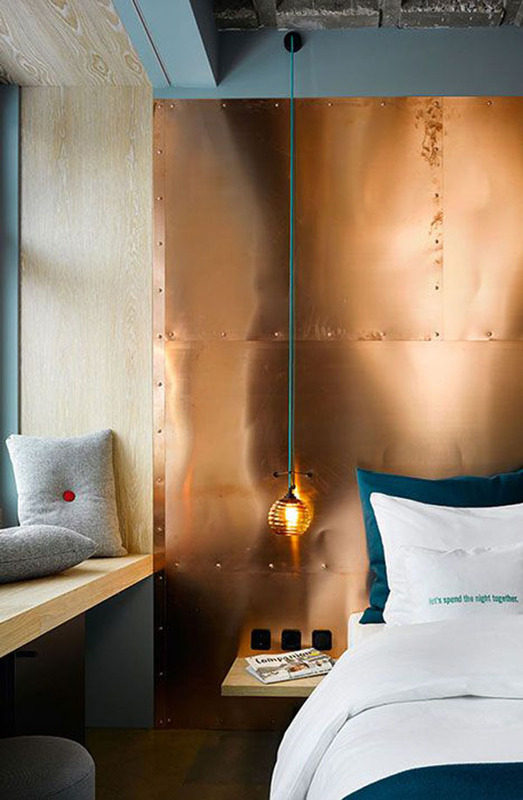 “All that glitters is not gold” indeed, and since metallic textures and surfaces is still a strong design trend, metallics have embraced the warmer tones of Brass and Copper and they seem likely to stay. 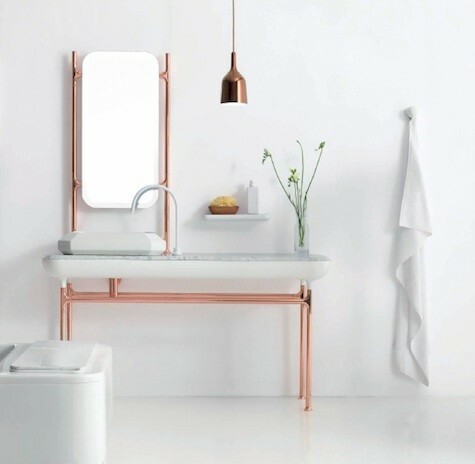 Copper keeps going strong in 2018 Design trends and we see it more and more in modern and traditional interiors. 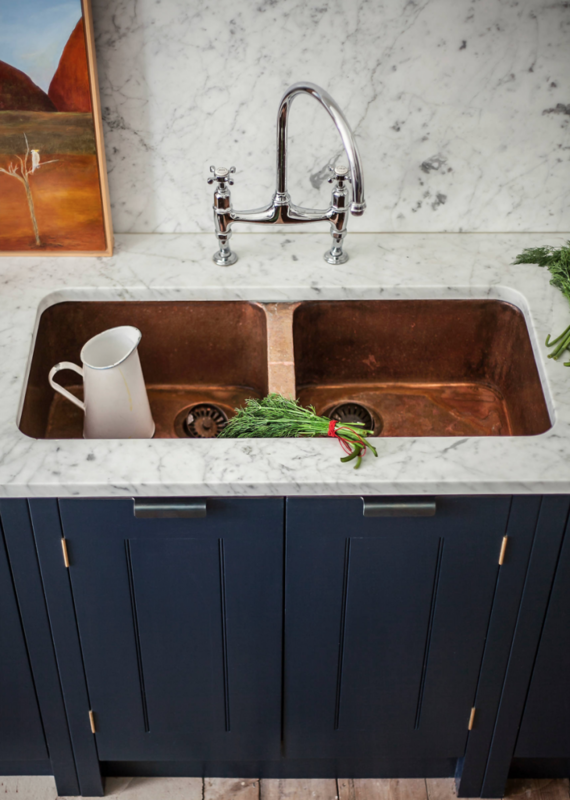 Copper is an extremely versatile material in manufacturing and design and has gained ground in the use of metals in interiors as it offers not only its warm, mellow hues but often its dramatic effect in numerous applications and forms. 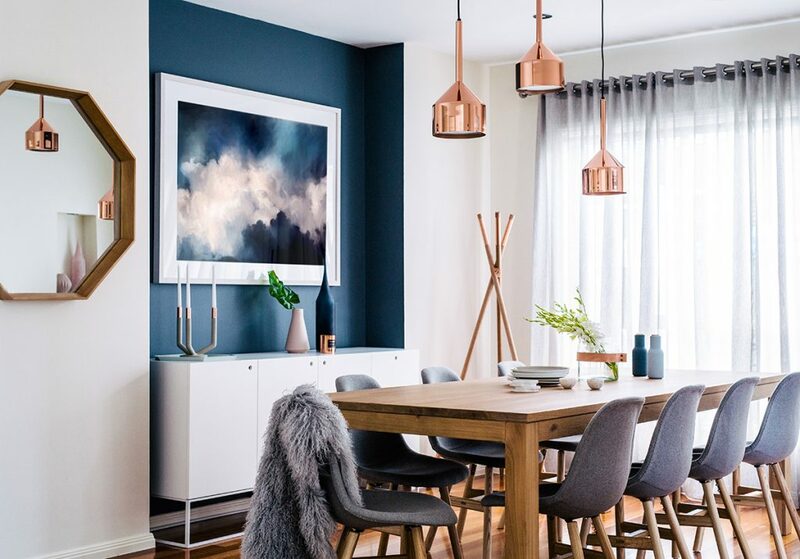 As we enter into Fall, I see Copper accents making their appearance even stronger in home design as they give a rich, warm yet not too opulent look. 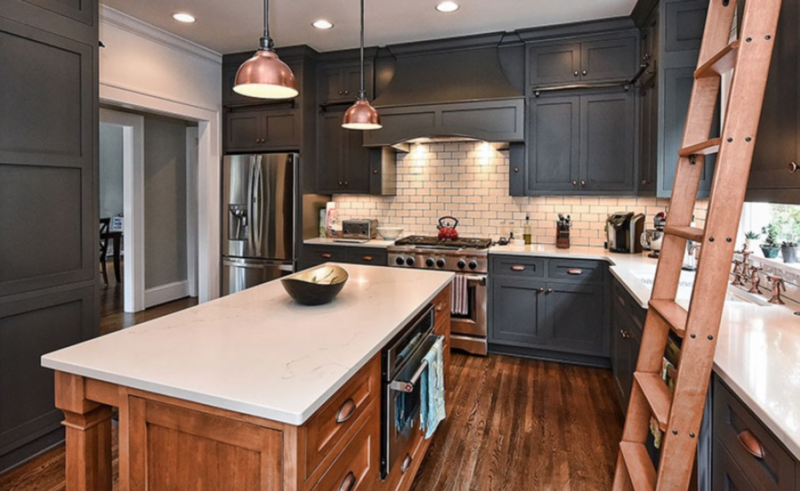 Copper looks great with neutral colors, but also with earthy tones, gray and black. I personally love it with blues, especially dark blue and teal hues. Another Copper favorite is the marriage of Copper with Pink. They give a soft look and they compliment the room by exchanging their warm natures. 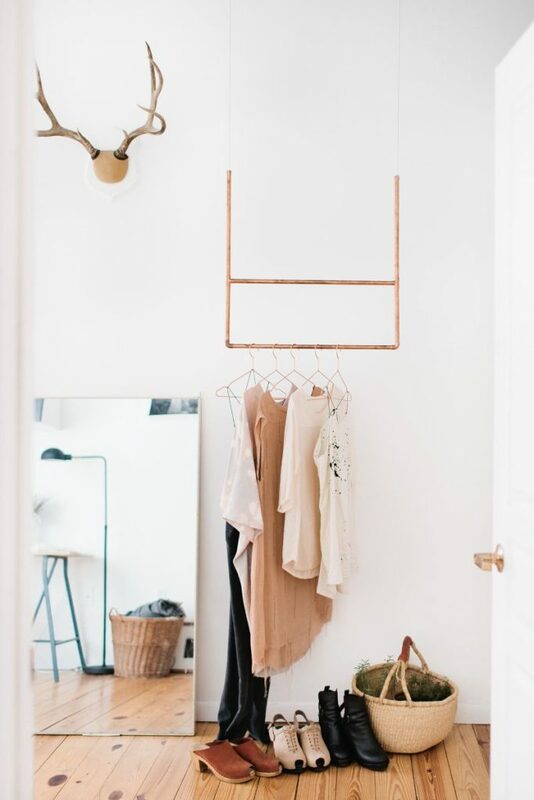 It takes just a touch of Copper to bring a simple, white space to the next level. 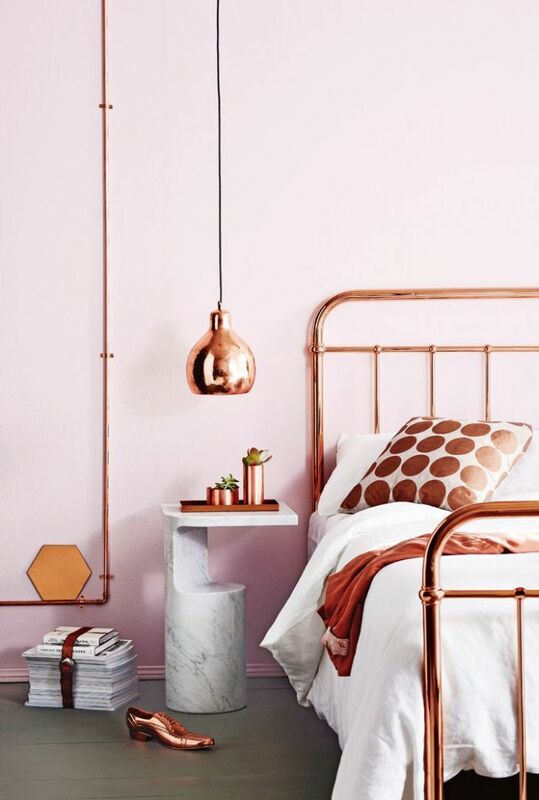 If you are Copper shy, a few small accents like Copper hardware or a simple light pendant will be enough to get the ‘Copper proof’ job. And of course, you can never go too far with Copper. 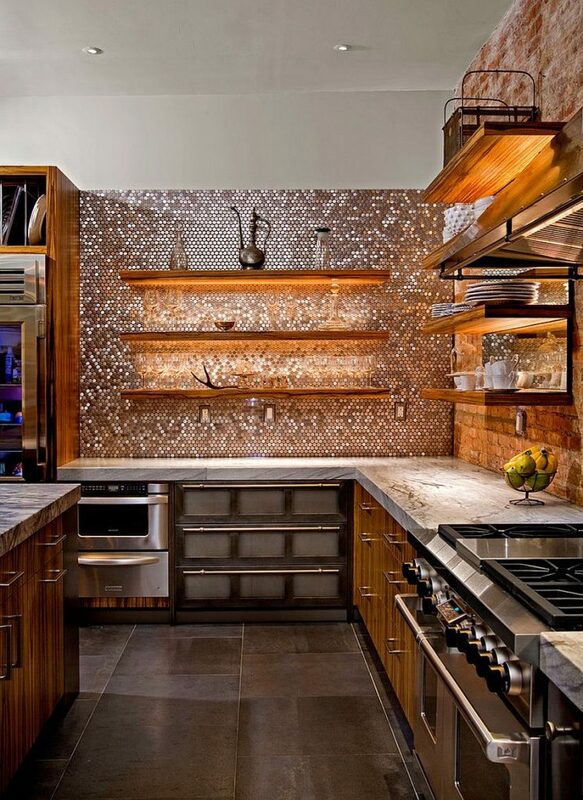 If you do this, Copper penny tile will definitely pay off!